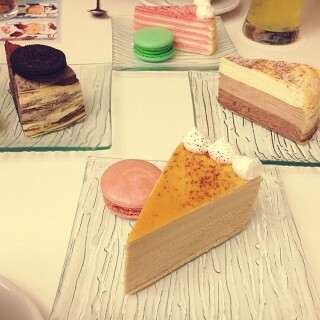 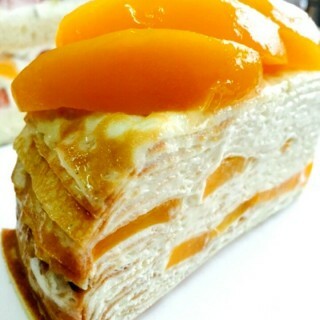 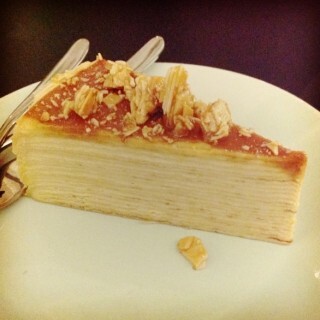 Layers of creamy indulgence to satisfy the Mille Crepe itch! 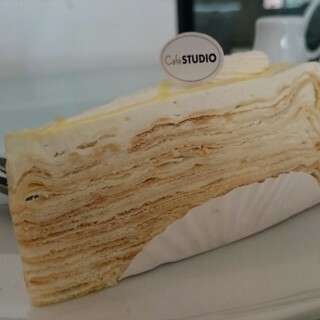 Thin and soft layers of mille crepe with plentiful of flavors and fresh cream on each layer makes it even delectable and awesome! 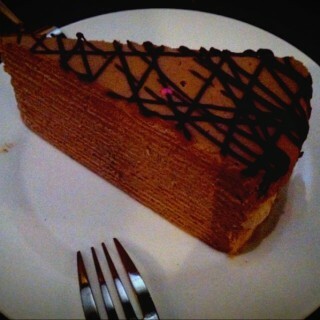 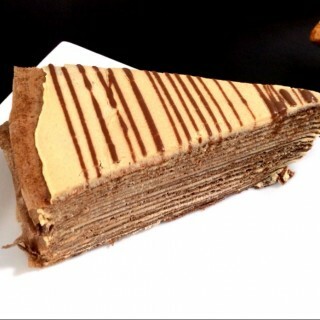 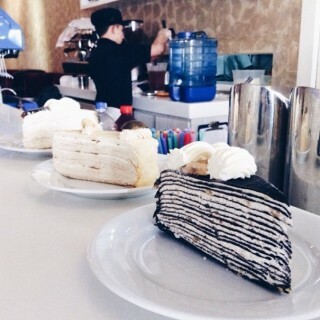 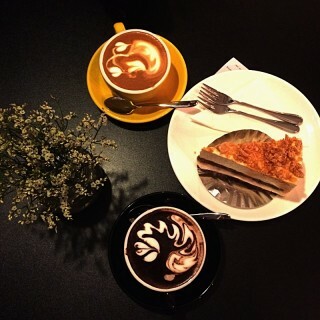 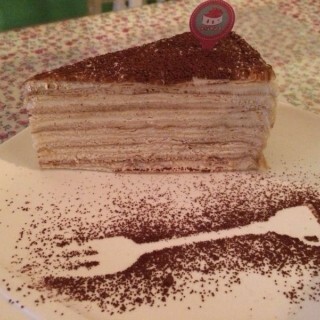 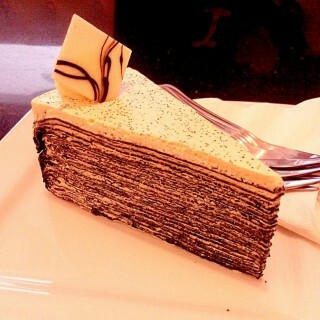 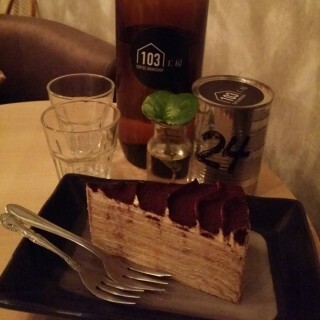 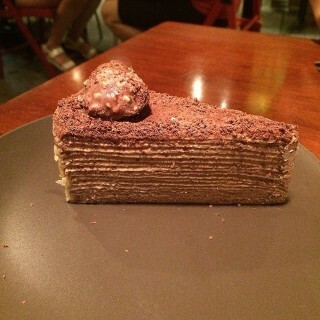 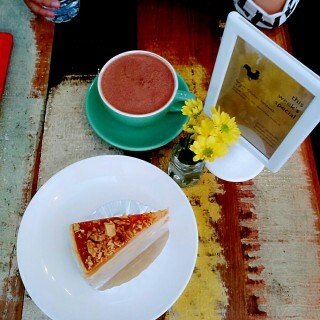 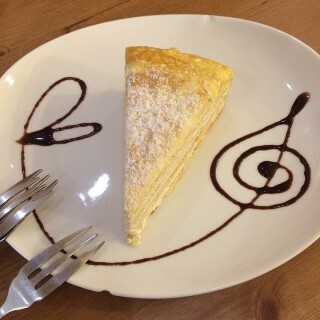 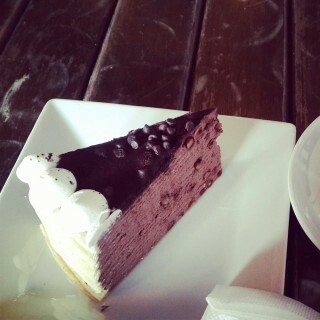 Caramel mille crepe cake with hot chocolate.